Each container contains 4 pieces, a complete set for front and rear. 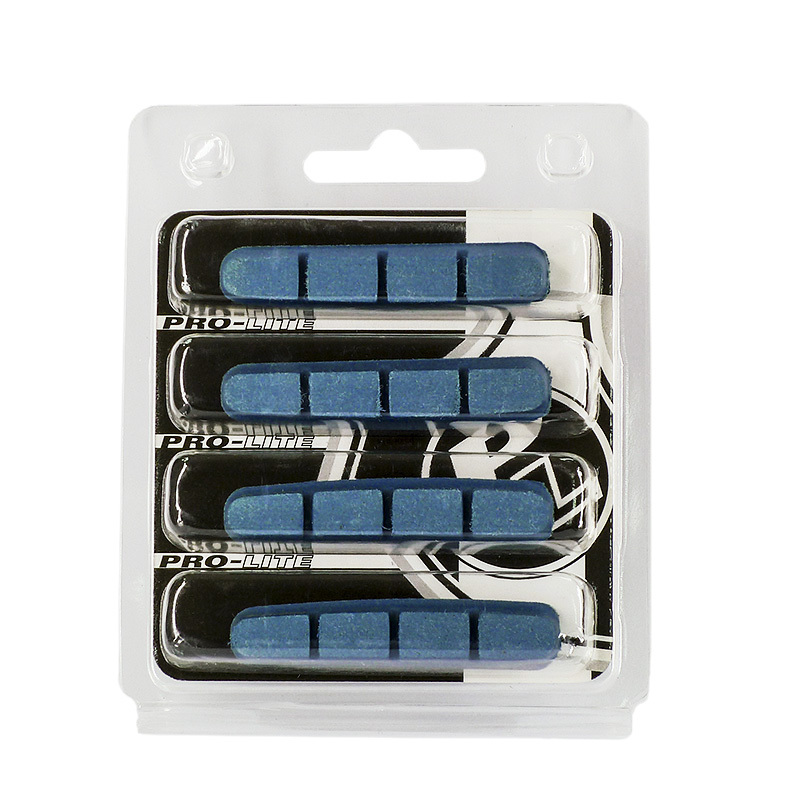 The Cistella brake pad for carbon rims is our second generation of pads designed specifically for carbon braking surfaces with an amazing combination of stopping power, longevity and finely tuned heat buildup. Heat buildup is a serious concern for anyone who rides a carbon fiber wheel. The energy of momentum is converted into heat during braking, but while an alloy wheel can quickly dissipate this heat via conductivity, the resin that holds carbon fiber in place has comparatively poor conductivity and the heat can quickly rise to the point of softening the resin, deforming the wheel with disastrous consequences. 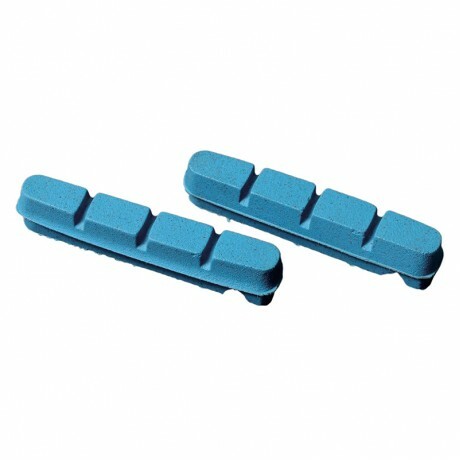 A combination of high temperature resins as well as the right brake pads will ensure that your rides are safe and your wheels last a long time. 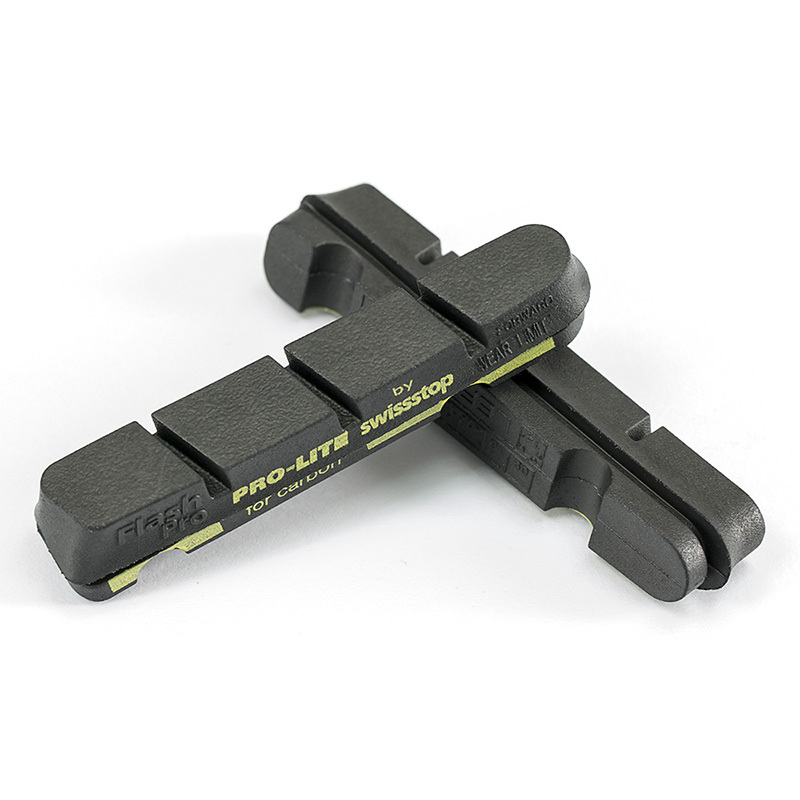 Based on test results and real-world conditions testing, these pads are still recommended for use with the Padova and the Rome, however we recommend the new SwissStop brake pads for carbon for all other carbon-rimmed Pro-Lite wheels.